With over 36 years of chimney sweeping and dryer vent cleaning experience, we are happy to have many satisfied and returning customers. Ace of Sweeps places our highest emphasis on the cleaning aspects of our service and making certain that the structural integrity of the chimney remains uncompromised. Less than an eighth of an inch of creosote buildup in your chimney walls can cause a serious chimney fire. This can result in a terrifying disaster and one that causes death and hundreds of millions in property damage each year. Southwest Brick & Fireplace Co.
*Authorized Dealer of Majestic Fireplaces* Southwest Brick & Fireplace offers building stone in both full thickness and thin veneer. Most of the stone we have available is quarried in Texas, Oklahoma, and Arkansas with a large number of selections in Limestone or Sandstone. It is our goal to be able to furnish all materials related to the masonry portion of building a home. This includes face brick, cultured stone, stone - full thickness and natural thin veneer, angle iron, masonry mix, sand, mortar color, precast address blocks, wall ties, nails, masonry fireplace equipment, zero clearance wood burning fireplaces, natural vent, direct vent, and ventless gas fireplaces, brick cleaners, window protect film, and many other items. Black Velvet Chimney is owned by Pete Pohlman and serves the Arlington TX area. The family-owned company provides chimney and fireplace services, dryer vent services, and even home services. We are a traditional Roofing and Construction company that uses its long-term experience for the benefit of our customers. We are honest and dedicated and strive to deliver a work ethic and product to be admired by all. Our company consists exclusively of qualified roofers and contractors. We continually strive to keep up with the latest technology, products and materials to stay in tune with an ever changing market. Sitting by a warm fire on a cold evening can be pure joy. But if your chimney is damaged or deteriorating, lighting a fire is out of the question. Poorly maintained chimneys with a large buildup of soot or those with badly built caps can become serious fire hazards. So if you’re having any issues using your fireplace, it’s a good idea to call up a Sachse, TX chimney repair company right away. 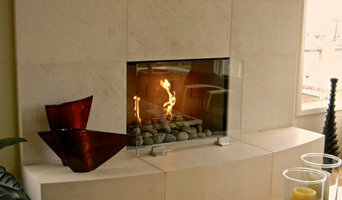 When should I contact a chimney service in Sachse, TX? Setting up annual appointments with a chimney sweep to keep your fireplace and flue clean and in working order will help prevent issues down the road. But sometimes, either from old age or a particular event, your home might need some targeted repairs. If your house starts to settle unevenly into the ground, your chimney can become cracked or unstable and might require attention. 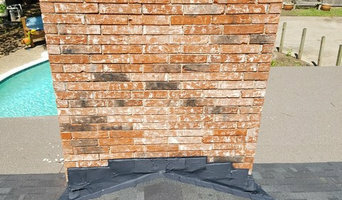 If bricks start jutting out of place due to settlement or an earthquake, the exterior structure will need to be adjusted by someone skilled in brick chimney repair. Especially if you live in a place where rain or snow is common, it’s a good idea to have your exterior structure waterproofed to help prevent bricks from crumbling. In the case of a fire, you may need to have a chimney flue repair to keep the structure strong and durable. This will usually involve changing out or installing a liner in the flue, and hiring contractors will make the task much easier. 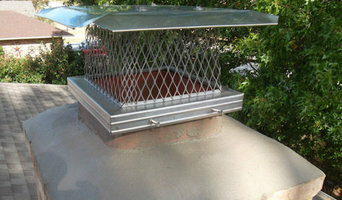 Similarly, having a cap on the top of the flue can protect your home from snow, rain, cold air, birds and rodents. But it can be risky to fix something up on your roof, so scheduling a chimney cap repair in Sachse, TX with a pro is usually the best option. 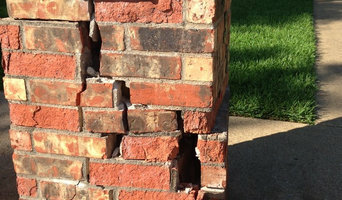 What will a Sachse, TX chimney repair contractor do during a visit? Without being able to see the inside of your flue, it can be difficult to identify any problems on your own. That’s why hiring a local professional who does chimney repairs in Sachse, TX can be so useful. A contractor will be able to determine what type of work you need done and complete a chimney cleaning for quality maintenance. While the typical price can vary depending on where you live and how much work you need done, it’s always wise to ask your contractor ahead of time how much the project will cost. After doing an inspection, any of your local Sachse, TX chimney repair companies should be able to give you an estimate for the project, so you’ll know what sort of budget you’ll need.